In Go English Kids n°33, you have read about the Royal Ascot, the most important racing event of the year in the United Kingdom. Today, let’s find out about another major racing weekend: the Epsom Derby. 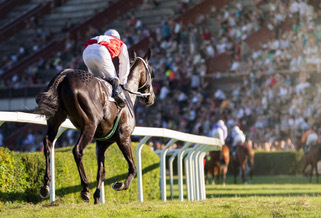 On June 1st and 2nd, the 239th Epsom Derby took place at the Epsom Downs Racecourse, South West London, Surrey. The Epsom Derby is one of the main events of the year in the British racecourse calendar, and it is definitely the richest one: the winner of the Derby earned 920,000£! The Epsom Derby lasts two days: the first one is known as Ladies’ Day, and in the afternoon a Style Award is attributed to the most stylish lady in attendance. Hats and formal dresses are a must, and Queen Elizabeth II usually shows up in bright colours or floral patterns during the weekend. 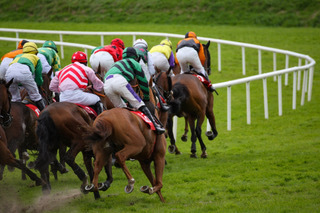 The second day of the races is the most important one: seven races are held in the afternoon on Derby Day, the same number as the previous day, and the proper Derby starts at 4:30pm. This year, 12 horses ran the 2,420 metres of the track and Aidan O’Brien, an Irish trainer who won the prize in 2012, 2013, 2014 and 2017, trained five of them. One of his horses, called Saxon Warrior, was the odds-on favourite, but finished in the fourth place. The winner was the outsider Masar, a thoroughbred ridden by William Buick, and owned by Sheikh Mohammed, Dubai’s King. May 4, 1780: the first Derby was run at Epsom. It was named after the 12th Earl of Derby, who supposedly had a bet with his friend, Sir Bunbury: the two men tossed a coin to decide whose name would be given to the event. 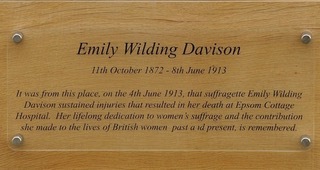 In 1913, suffragette Emily Davison slipped under the barrier and ran into the middle of the racecourse while the horses were coming towards her. One of the animals, property of King George V, knocked her down and left her unconscious; she died in the nearby hospital four days later. The first televised broadcast of the Derby took place in 1927, though the BBC quickly abandoned the idea. Regular broadcasts started in the 1960s, and still attract more than a million viewers each year. In 1952, Derby Day, a film directed by Herbert Wilcox, and starring Anna Neagle and Michael Wilding was premiered at the races. Jockey Lester Piggott holds the record for the greatest number of wins at the Derby: he won nine races between 1954 and 1983. The first woman to compete at the Epsom Derby was Alex Greaves in 1996. She came last, and so did Hayley Turner in 2012, but in 2017, Ana O’Brien came second to last and became the first woman to finish the race in front of a man. Episode 6, Season 2 of the TV series Peaky Blinders is set in a fictional version of the 1921 Derby.